Kawasan falls from Cebu City to Kawasan adventure Cannyonnering site. Cabana is superb place for food and live music. Octagon is fantastic place for clubbing. And After your Cannyonnering and visit to Kawasan you need a good relaxing massage and best place to get this is Aloha Mana Spa. Don't forget to try their tea post massage. We stayed in an affordable and clean room, roamed the beautiful city of Cebu. Cebu is not a fun city whatsoever. A lot of travelers spend a night here and then take a ferry or flight to one of the Filipino Islands, but there is no point in adding more then a day in Cebu to your Filipino trip. It has a couple of malls worth eating or shopping in if you're stuck there for a extended period of time. Being the second largest city in the Philippines, Cebu also has a decent nightlife scene, but the city is not safe. You have to cab it everywhere. When you get to the street with clubs and bars on it, there are police with shotguns and pistols lined up and down the street, not exactly something that gets your buzz going. I find it really disappointing when I travel to cities that I have to cab everywhere in. You always get a better feel for the culture by being able to walk around the city and immerse yourself in your surroundings, but you can't really do that in Cebu. And even if you did feel safe, there's not a lot to see. 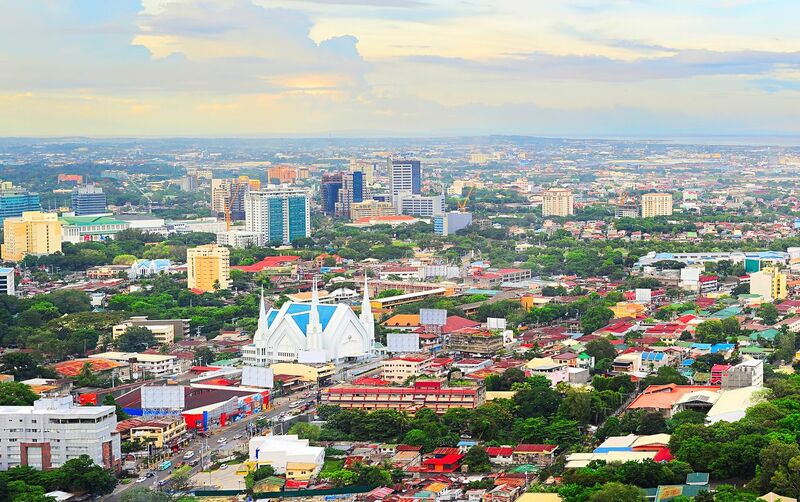 Tip: Cebu is the island that Magellan was killed at, by a native Filipino called Lapu Lapu. There's a statue erected in his honor, check it out on your way to the airport.. it's on the way there. They also named a fish after him and now it is part of Filipino cuisine Order it at a restaurant, it's pretty good! Radisson Blu hotel; right smack in the middle of mall and port nearby. Excellent location with lots of good amenities, eateries nearby! Sure, it's got some of the ick of a Philippine big city: traffic, noise, and pollution. But Cebu City is also the historical and party capital of the Visayas, with enough sights to keep you entertained for a couple of days before you head off to the beaches, and is altogether a more accessible and less overwhelming place than Manila. Best of all, even though it's the big city, it's still Philippine-friendly. people flock to this cool hole in the wall for their Ultimate Burger, Philly Cheese Steak Sandwich and the homemade Just Bacon. Well preserved culture,amazing festivals, warm and smiling people, beautiful tourist spots such as beaches and dive sites. Such a wonderful place.